An extraordinary general meeting of the British Egg Industry Council will be held on 24 April to try and decide on new standards for egg producers moving away from enriched colony cages and into cage-free barn production. The meeting will hope to resolve one of the biggest problems that’s arisen since all the UK’s major retailers made the decision to stop buying eggs from caged hens in 2025 – namely, what should replace this hugely important part of the market, which currently accounts for 44% of UK packing station throughput? The race to find a solution has produced a mess. Different packers have proposed different solutions and have started trialling different barn systems to try and find a way to balance a commercially viable option that won’t be “attacked straight away in the way enriched colony was” by welfare NGOs in the words of one person familiar with ongoing discussions. Mark Williams, chief executive of the BEIC says its crucial to get it right for producers, so there’s no repeat of what happened when battery cages were banned in 2012. “What we don’t want is for producers to invest in a system that in three to five years there will be no market for,” says Williams. He hopes a consensus will be found among members so producers can then move forwards with investment in new systems. “That is presupposing there will be a consensus though,” he adds. It’s an important point. Tesco and Noble Foods have worked together to develop a set of standards for barn production; other packers have other ideas and suggestions. It is hoped the BEIC meeting will result in a decision – in terms of stocking densities and enrichment – the whole industry can get behind. If the welfare bar is too high, producers may decide the returns aren’t worth it. On the other hand, if Lion accredited eggs come from barns with high stocking densities, retailers and welfare groups may object. Another fine line to tread is the risk that colony egg producers could go the whole hog and switch to free-range production. This is something existing free-range farmers are worried about. Already, the free-range market is oversupplied, and many producers are making very poor returns. At least there appears to be some consensus that barn production is the most obvious replacement for the cage. There had previously been some suggestion of developing a ‘value free-range’ tier, but this caused significant concerns among free-range producers, worried such a development would make it much harder to guarantee producers a premium for their eggs. Last month, Vencomatic announced it had won the contract to supply and install its high-welfare Veranda Aviary 2 nest system into a multi-level barn at a Noble Foods’ site in Nottinghamshire. At the time, the two firms said the installation of the high-welfare aviary barn system was viewed as a trial, but significantly it allowed the firm to show its plans to trading partners and NGOs. “The decision to create a high-welfare barn sends a strong message to the egg industry amid uncertainty as to the direction it will take,” Vencomatic said at the time. Whether this becomes the standard for the whole industry is subject to debate along with appropriate stocking densities, and enrichment for welfare. These are questions the meeting hopes to resolve. Only then can producers – currently gridlocked in uncertainty – decide how to proceed. 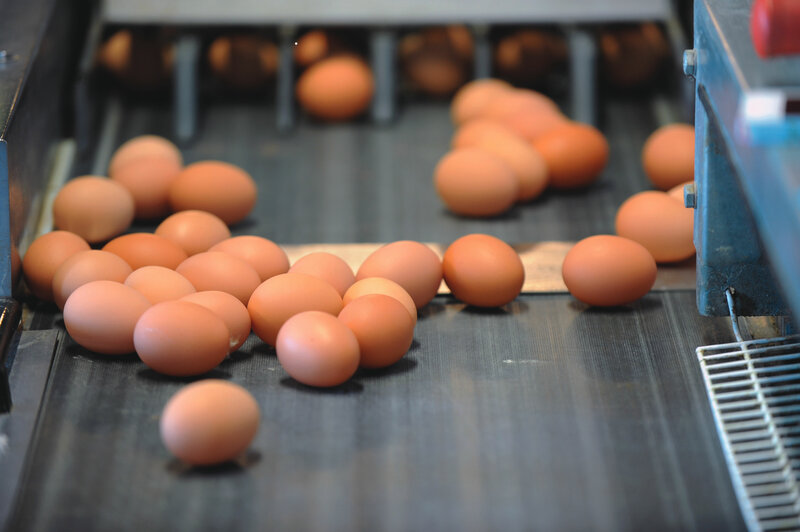 According to the latest data from Defra the total throughput at UK egg packing stations in 2018 was 30.9 million cases. Of this, just 440,000 (or 1.4%) of the market is barn eggs. Free-range made up 16 million cases (52% of the total) in 2018. Enriched colony cage eggs were the second biggest sector at 13.7 million cases (or 44% of the total). Organic meanwhile took a 2.4% share of the market with 769,000 cases. The fact 44% of the current market will have no major retail customers in just six years highlights the scale of the challenge.